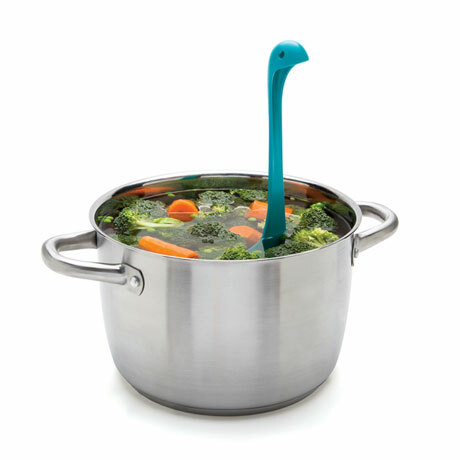 The latest and larger companion to our popular Nessie Ladle strains pastas, vegetables and the stray herb bouquet from your soups. 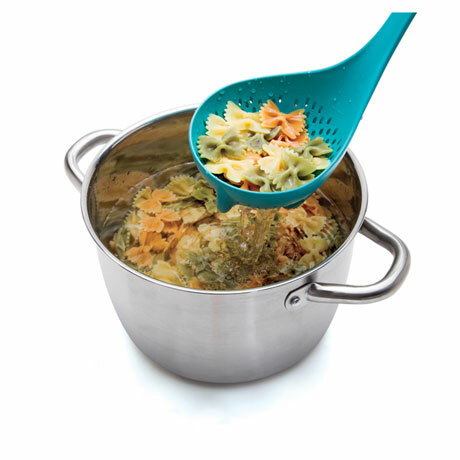 Her dozens of draining holes act like a colander. 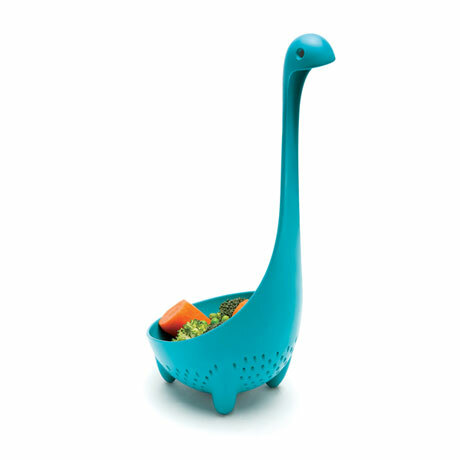 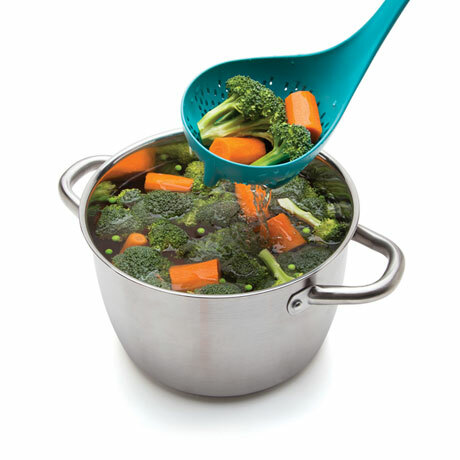 Toughened blue nylon ladle stands upright on four little feet, in the pot and on your counter. 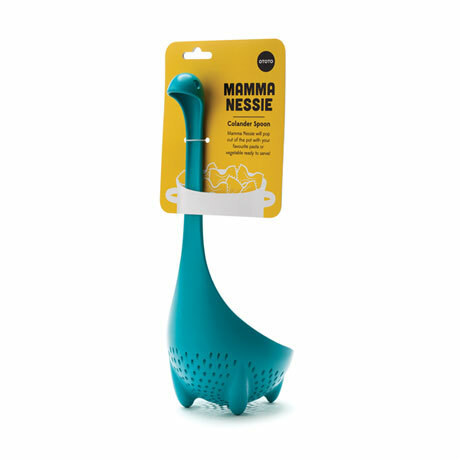 Dishwasher safe but don't microwave. 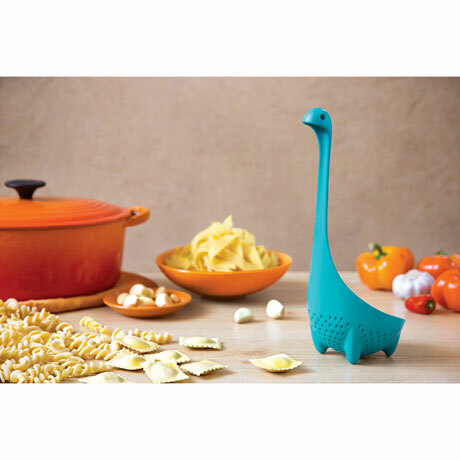 Mama Nessie measures 11 3/8" tall.